Nuclear accidents at Fukushima and Chernobyl taught us: a blown reactor anywhere affects my listeners around the world. The nuclear and coal industries have gone bankrupt. Donald Trump just sat down for dinner with a lobbyist to make you pay to keep dangerous old reactors (and coal!) going. 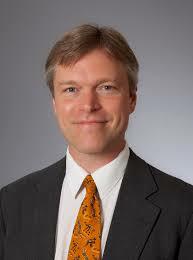 We cover the scam with nuke campaigner Kevin Kamps from Beyond Nuclear. Then strange new science: plants in a high carbon atmosphere determine who gets the crops, and who gets the drought. We hear from Dr. Pierre Gentine of Columbia University. The future is already here, on Radio Ecoshock. Donald Trump’s administration has landed another no-win situation. Should his clueless Energy Secretary Rick Perry order subsidies to keep old nuclear reactors and polluting coal plants going – even as they go bankrupt? That would please big donors to the Trump campaign. But it might not make the millions of people in Trump-voting states happy when they get higher electricity bills for years to come. We are back in that un-merry-go-round, as the big power company FirstEnergy declared bankruptcy. Three risky reactors could close, but is it a ploy for more public money into a privately-held corporation? It’s time to ask one of my favorite nuclear correspondents, Kevin Kamps from the non-profit Beyond Nuclear. Kevin begins with a story about Trump having dinner with FirstEnergy lobbyist (who was Rick Perry’s campaign manager). First Energy called for a bailout via 202C Emergency Petition under The Federal Power Act. I did not know, until Kevin told us, that coal sometimes freezes during severe winter weather and cannot be used. So the argument that Perry used – that coal is a solid fuel on-the-ready for very cold weather during a polar vortex is not workable. Let’s start with the Davis-Besse nuclear plant near Toledo, Ohio. It would be a relief for everyone if that old plant closes down early. Kevin tells us Davis-Besse is a twin to Three Mile Island reactors. There was an accident, like a precursor to TMI, at Davis-Besse about 18 months before TMI Unit 2 had a 50% melt down. But the operators of Davis-Besse kept it secret, so no lesson was learned that could have possibly prevented the TMI accident. In 2002, the “hole in head” fiasco at D-B came within 3/16 inch of breaching the reactor, and was again kept secret, then lied about, and finally received millions of dollars in fines. Kamps says the company told the insurance company one thing, admitted differently to federal regulators, and were caught by the insurance company. It more bad behavior from a company with tremendous responsibility to avoid mass damage to the region and beyond. Environmental Law and Policy Center in Chicago filed on FirstEnergy a petition with the Nuclear Regulatory Commission (NRC) saying the decommissioning trust funds held by First Energy are badly inadequate. This, despite FirstEnergy saying in bankruptcy that they will/must decommission 4 reactors (Perry [ in 2021], Davis-Besse [in 2020], and 2 and Beaver Valley [in 2021]). The biggest decommissioning in US history now going at Zion 1 and 2 north of Chicago. They send radioactive materials to Clive Utah and West Texas, on the New Mexico border. That’s where it goes, sometimes sitting in unprotected barrels in the sun. In Texas, that is above the Ogallala aquifer that serves many Western states. Every single low-level radioactive waste dump in America has leaked, Kevin says, listing many of them, including geysers of rad waste erupting at Beatty Nevada in Oct 2015. 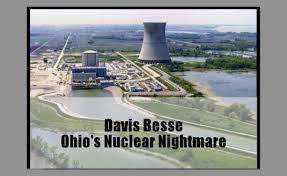 Davis-Besse has the two closest-to-meltdown “accidents” in the United States: the Tornado that cut off power, damaged the plant, and forced it to run on backup generators; and the “football sized hole” in the reactor containment. NRC extended Davis Besse anyway, from 2017 to 2037(!!) despite objections from many parties. This was despite their record of serious accidents, lying and covering up, and liability to the clean up fund. Plus, as Kevin Kamps tells us, serious cracks have been found in the concrete of the containment, bringing into question the ability to contain a radioactive release. It’s no problem for the NRC. Kamps says the containment concrete is in such bad condition, the containment itself might cause a nuclear accident. Concrete could fall down on to significant safety systems and necessary adjacent structures. As Arnie Gunderson of Fairewinds revealed, Beaver Valley also has a breached containment system, During construction, equipment was left in the containment that formed a breach. The other FirstEnergy reactor at Parry is most known for serious worker overexposure to radioactivity and a lax safety culture. Give me a minute to rant about another nuclear myth. There is another FirstEnergy nuclear plant, the Beaver Valley Power Station near Shippingport, Pennsylvania. And it’s pretty darn close to Pittsburgh. That whole area has been nuclearized. Shippingport was the site of the first supposed civilian nuclear power station. I say “supposed” because that first reactor was really designed for an aircraft carrier that was never built, and because the “atoms for peace” program pushed by General Eisenhower was always hoping to support a continuing nuclear industry to make atomic weapons. They tell us the first Shippingport reactor is all cleaned up, The public can go tour around the site. It’s “all cleaned up” because they put the whole reactor on a barge and brought it to Washington State. They just buried the reactor in the badly-run Hanford Nuclear Reservation. Nothing was cleanup up at all, and that’s the truth about nuclear power, there really is no way to decontaminate a reactor permanently. We just try to hide the radioactivity somewhere else, and hope it doesn’t escape, like into the Columbia River, or blow up into the atmosphere, along with some of the unstable red-hot radioactive tanks at Hanford. It was buried in an unlined trench. When it comes to FirstEnergy, the company that just declared bankruptcy, it goes beyond nuclear to coal. According to the Wall Street Journal, the biggest coal supplier to FirstEnergy plants is Murray Energy. The CEO of the company, Robert E. Murray, – the guy who tried to sue John Oliver – Murray donated millions to the Trump Campaign. Then he called on the Department of Energy to supplement the price of coal. That was turned down, so far. What happened to the free market? Kevin says the PJM (Pennsylvania New Jersey Maryland) grid has over 30% surplus power capacity. Closing the nuclear plants would have no effect on delivering power. PJM is the largest grid in the country, extending even to Illinois. When you get down to it, nuclear and coal are just getting blown out of the market by cheaper fracked gas and by less expensive wind power from the Mid-West. FirstEnergy tries to say their nuclear and coal generating stations are some kind of base-load necessity, and the system could not run without them. But none of those Midwest states go dark without nuclear power. New York State under Coumo added $7.6 billion to ratepayer bills to keep nuclear going there. That’s being challenged in court by groups like NIRS, the Nuclear Information and Research Service. Kevin calls it “ratepayer robbery” and says the money was “stolen” from a clean energy fund! Some of those four old reactors in NY STate had announced shutdowns before 2020, but getting the money, decided to stay open. Exelon Nuclear gets the benefit of a public subsidy to its investments. Illinois ratepayers will pay over 2 billion dollars to keep 3 old reactors going. Again, it’s Exelon, which had announced shutdown dates for those reactors, but reversed that with this bailout. The companies, FirstEnergy and Exelon use these threatened shutdowns as “a sort of nuclear hostage taking” says Kevin. Big investors made lots of interest on loans and investments in nuclear plants. Now they are losing money, they want the rate-payers to pay more than the product is worth on the market. Why don’t the people who made the money either cut their losses and close up, or pay their own loses? What kind of capitalism is that? Meanwhile, we have a couple of billionaire kids hiring a former environmentalist, to look like there is public support to keep the old nuclear plants going, until they finally blow up. Kevin tells us about Rachel Pritzker, the billionaire with money from the Hyatt hotel fortune. Ironically the film featured a reactor technology called the Integral Fast Reactor (IFR). That was tried and failed in the 1950s, Kevin says. The film and film-maker Robert Stone both thank Rachel Pritzker for financial support. With the Pritzker money, and other nuclear industry supporter donors, Michael Shellenberger sees lots of doors opening. Even though Shellenberger has zero training in nuclear physics, and no experience in a nuclear plant, he’s on MIT’s “Future of Nuclear” advisory board. Michael claims he will give the “keynote address at the annual conference of the American Nuclear Society’s” meeting in San Francisco. “Environmental Progress” opened a 5,000 square-foot office and action center at street level just three blocks from UC-Berkeley, so they can indoctrinate students, and maybe gather up some misguided street power. It’s fantastic mirroring of the environmental movement, only with really big bucks instead of scraping by. Another member of the MIT “Future of Nuclear” board is former Secretary of Energy Ernest Moniz under Obama. After making rulings that helped the nuclear industry, he went through the infamous revolving door to join the Board of Southern Nuclear recently. In 2014, Moniz gave Southern Nuclear and 18.3 billion dollar loan guaranteed backed by the federal taxpayers. Now he gets substantial Director’s fees from that same company. The Trump administration just gave Southern Nuclear another 3 plus billion dollars of federal-backed loans. It’s all “free enterprise” don’t you see? That’s for the endangered and way-over-budget Vogtle nuclear plant in Georgia. Kamps alerts us that regarding FirstEnergy, Moniz comes out in the open and admits America has to keep civilian nuclear power plants operating, even at a huge loss, because they need the training and materials for the U.S. nuclear weapons program. Finally, they come out and say it. That is why the old risky reactors are still running, to supplement the nuclear weapons program. So much for “Atoms for Peace” – a denial of connection that lasted seven decades. To find out more on that, Kevin recommends the 1999 book “The Nuclear Power Deception” by Arjun Makhijani. Read selection from that book here. What about “Mothers for Nuclear Power”? One “Mother” was a worker at the Diablo Canyon nuclear plant, who told energynews that she thought ““I’d be a little bit of a spy,” since she was part of the group Mothers for Peace*, where members opposed nuclear power.” Mothers for Peace denies Mattheson was ever a member. Emma Redfoot heads the Idaho chapter of Mothers for Nuclear, though she doesn’t have children. She’s a graduate student in nuclear engineering. Real mothers be more concerned about leukemia clusters around nuclear plants. Cumbrians Opposed to a Radioactive Environment (CORE) in the UK, grew up after several children in the same area of the Sellafield reactor complex developed Leukemia. Another group grew out of Illinois where a rare form of brain disease was found in children in the same school, a cluster of disease of five “rare” cancers (which was fatal in some cases). It was near the Braidwood and Dresden nuclear power plants. Other studies of leukemia clusters near operating reactors (in Germany and elsewhere) are conclusive. The worst damage is done when the reactor fuel charges are being exchanged, but no warning is given to resident (who might evacuate during those dangerous days) – no warning is given. It doesn’t take an accident – cancer rates go up due to routine fuel changes. So the same people, with funding from very wealthy people, keep forming what I would call fake environmental groups, trying to show the public supports keeping old nuclear plants running, when they don’t. “Environmental Progress” is such an ironic name. Michael Shellenberger is all about the catch-phrase. They call themselves “atomic humanists”, and “eco-modernists”. They claim to know how to “save nature” with “disruptive technological change.” I think these people hold a world-record for dangerous green B.S. We discuss the nuclear weapons proliferation that goes along with nuclear power. That is how India and Pakistan got the bomb. North Korea too. All you need is a “civilian” nuclear reactor. Saudi Arabia wants reactors, and the new Saudi Crown Prince just said that if Iran builds a nuclear bomb, Saudi Arabia will too. Saudi lobbyists (allegedly paid $450,000 for a month) are busy on Capitol Hill as this is broadcast, trying to get Congressional approval for reactor sales. That’s all we need is a tinder-box conflict-filled part of the world filled with reactors (targets) and nuclear bombs. Michael Flynn’s Middle East reactor sales scheme was a little-known aspect of Russia-Gate. The Russian part of the deal was to provide security. Then we talk over the risk of nuclear power plants being targeted by terrorists, or by an enemy. I would add: or by any disgruntled operator (“The China Syndrome”), billionaire, or run-of-the-mill mass murderer hoping to go down in history. Kevin points out the real danger is not the reactors being hit, but the nuclear “spent” fuel storage. Those pools or highly radioactive materials, including plutonium, are often just metal sheds. They are far from air-craft proof. Maybe even an anti-tank missile could cause them to explode, tossing radioactivity over a whole region of the country, and potentially around the northern hemisphere. That northern hemisphere radioactivity spread when the Fukushima Reactor Three blew up so high, atomic materials were detected on the West Coast of North America, in Pennsylvania, in New England, and in Scandinavia. Radioactive dust went around the world. So even if you are not in America, or do not live near a reactor, this story is still for you! Kevin gives the example of the 1984 book “Nuclear Power Plants as Weapons for the Enemy” by Bennett Ramberg. Kamps says: “They essentially represent massive dirty bombs just sitting there waiting to be detonated.” Kevin points out the recently “the Houthi rebels in Yemen fired a missile at a nuclear power plant in the United Arab Emirates that is under construction.” There was no fuel in the core yet. The Israelis attacked and destroyed two reactors under construction, one in Iraq and one in Syria. But the U.S. in 1991 bombed an operating research reactor in Iraq. I mention that Bin Laden had a secondary plan to crash an air-plane into the Indian Point reactor very near New York City. In 2016, former NASA climate scientist and nuclear enthusiast James Hansen went with Michael Schellenberger and Rachel Pritzker to Illinois, trying to save reactors there. They toured the Clinton Nuclear Generating Station and did press releases. It’s interesting to note that Rachel Pritzker’s operation, “the Pritzker Innovation Fund” also funds a solar geoengineering research program at Harvard, just in case the whole coal and nuclear thing doesn’t work out. Who are the Pritzkers, and why does a billionaire heiress want to keep old nuclear plants going with her money and time? South Carolina: “In South Carolina, Santee Cooper and South Carolina Electric & Gas Co. abandoned the construction of a similar nuclear project in July, blaming the decision primarily on the bankruptcy of lead contractor Westinghouse.” the Georgia Vogtle Nuclear Plant is going ahead, despite costs escalating over 25 billion dollars, twice the original price. The reactors at Plant Vogtle were the first new ones to be licensed and to begin construction in the U.S. since 1978. Kevin began with the peace movement and nuclear weapons. When he returned home to Kalamazoo Michigan, he realized the lack of safety at the Palisades nuclear plant. He describes very serious problems, which did not prevent the NRC from relicensing until 2031. Sadly, the operator announced a shut-down for 2018, but when they got billions of extra money authorized by the state, to be paid by the ratepayers, they decided in September 2016 to keep it open longer. There are a couple of possible futures here. We could allow natural gas as a bridge fuel while we build-up the wind and solar power we need. Along the way we dump the most dangerous and polluting electricity sources, like nuclear and coal, which don’t make economic sense anyway. OR… a paid-off government, relicenses all the old nuclear plants way out into the future, way past their design life, and run them until they blow up, contaminating a large part of the world and shortening millions of lives. Which path do you think is realistically going to happen? We didn’t even get time to talk about the Russian hacking of nuclear power stations, as revealed in a recent government report. The news media pretended an adversary would just shut down reactors, causing a power black out. That would be the best case scenario! Really, as Kevin told me, they could, just shut down the safety systems, causing a massive nuclear accident like Fukushima! There’s another reason to shut down these dangerous old reactors, as fast as we can. But no, the government wants to run them till they blow, no matter what the cost to American taxpayers and ratepayers. If you are listening to Radio Ecoshock, you are probably a land mammal. So as the world warms abnormally, you want to know whether to prepare for drought, floods, and extreme weather. Scientists model the atmosphere, the soil, and the seas, but new research reveals a surprise. One determining factor is alive: the reaction of plants to more carbon dioxide in the atmosphere, and it’s not what you’ve heard about. This breaking science comes from the Proceedings of the National Academy of Sciences, in a paper published April 2nd, 2018. The title is “Critical impact of vegetation physiology on the continental hydrologic cycle in response to increasing CO2.” The paper was published April 2nd, 2018 in the Proceedings of the National Academy of Sciences. We parse out what that means with our guest, a co-author of the paper. Professor Pierre Gentine heads of the Gentine Lab at Columbia Engineering and Earth Institute, in New York City. Dr. Gentine is currently on sabbatical at ETH Zürich University in Switzerland. As I understand this paper, there is a chain of developments in plants when carbon dioxide levels in the atmosphere rise, as they are rising now. Those changes effect transpiration, the flow of water from roots to the atmosphere, which changes water run-off, even more than the warming, or increased precipitation from the warming. We also discuss a previous paper co-authored by Pierre Gentine, published in May 2017: “Regionally strong feedbacks between the atmosphere and terrestrial biosphere“. We need to include regional feedbacks to understand the climate future. In the interview Gentine mentions “cam photosynthesis”. Find out what that means in Wikipedia here. “New York, NY–April 2, 2018–Predicting how increasing atmospheric CO2 will affect the hydrologic cycle, from extreme weather forecasts to long-term projections on agriculture and water resources, is critical both to daily life and to the future of the planet. It is commonly thought that hydrologic change is driven by precipitation and radiation changes caused by climate change, and that as the land surface adjusts, rising temperatures and lower precipitation will make the planet drier. Columbia Engineering researchers have found that, to the contrary, vegetation plays a dominant role in Earth’s water cycle and that plants will regulate and dominate the increasing stress placed on continental water resources in the future. The study, led by Pierre Gentine, associate professor of earth and environmental engineering at Columbia Engineering and at the Earth Institute, is published today in the Proceedings of the National Academy of Sciences. That’s the whole truth from Radio Ecoshock this week. You can always post your comments below – or write me: radio@ecoshock.org. The UK has enough nuclear waste to run the world for 500 years, and America has enough to run her for 1000! They also have passive safety physics built in. Breeder reactors have passive safety and if they were at Chernobyl and Fukushima, we wouldn’t know those names! Once the IFR’s have converted that 100,000 year problem into today’s *reliable* energy solution, there is a final waste product to deal with. But it is much smaller in volume and only radioactive for 500 years. Your whole life could be powered by a golf ball of uranium. This means a city the size of Sydney Australia would only fill one bunker the size of an olympic pool every 70 years. Concrete over the bunker and 500 years later it’s safe! Here’s a 4 minute video that explains melting down the waste into ceramic tablets and burying them for just 500 years. https://www.youtube.com/watch?v=MlMDDhQ9-pE Finally, uranium from seawater will not run out for hundreds of millions of years because erosion tops it up again. The funny thing is the nuclear shills will pretend hanford is not a viable comparison, while simultaneously advocating reprocessing, the mess that created hanford in the first place. Reprocessing is an environmental abortion regardless of whether the plutonium pulled out is being used for bombs or power. Look at Mayak in Russia, it is one of the most contaminated places in the world, thanks to dirty reprocessing. This article was linked on reddit.com/r/nuclearpower so you are about to be brigaded by a bunch of nuclear shills.